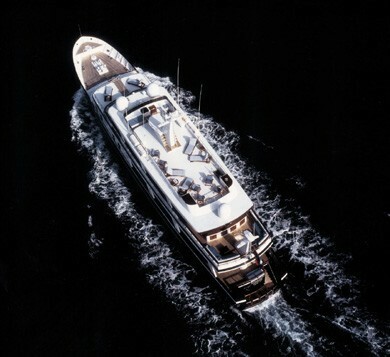 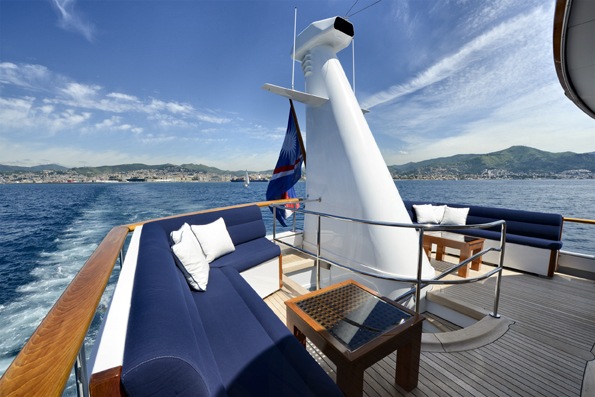 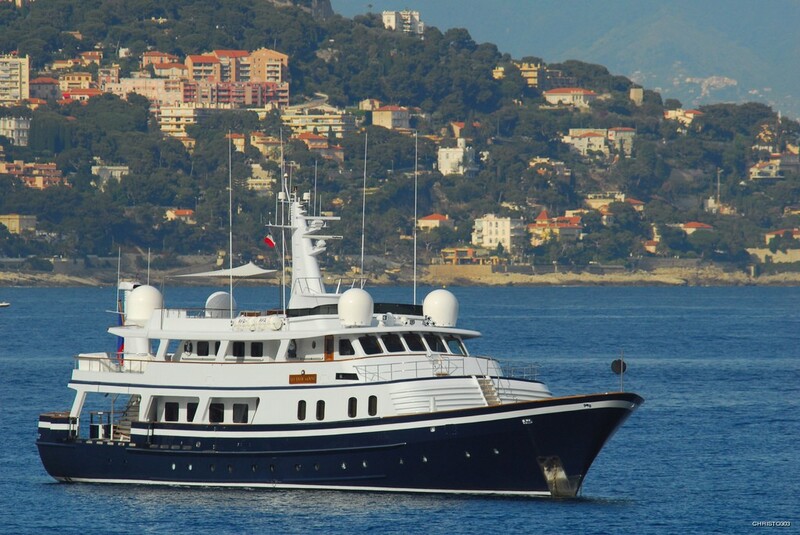 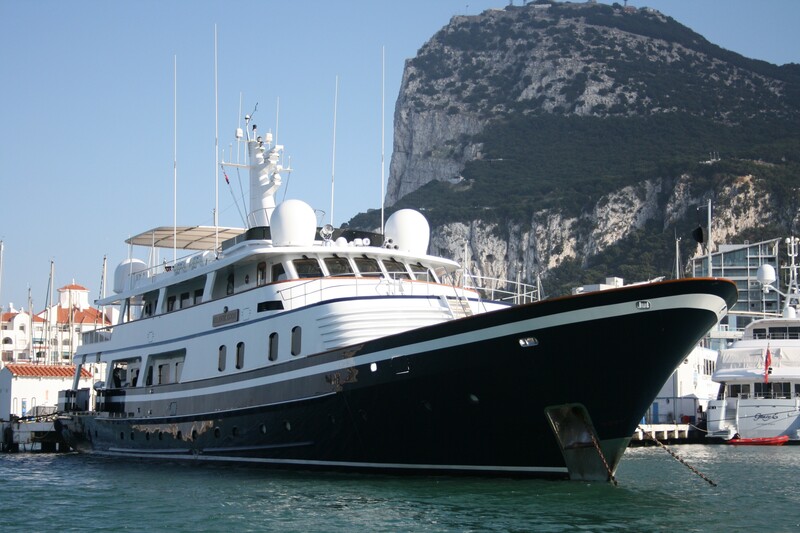 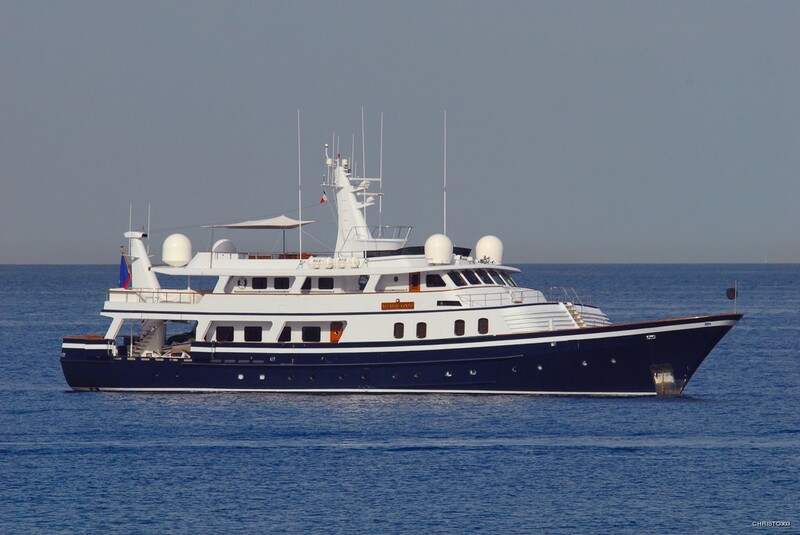 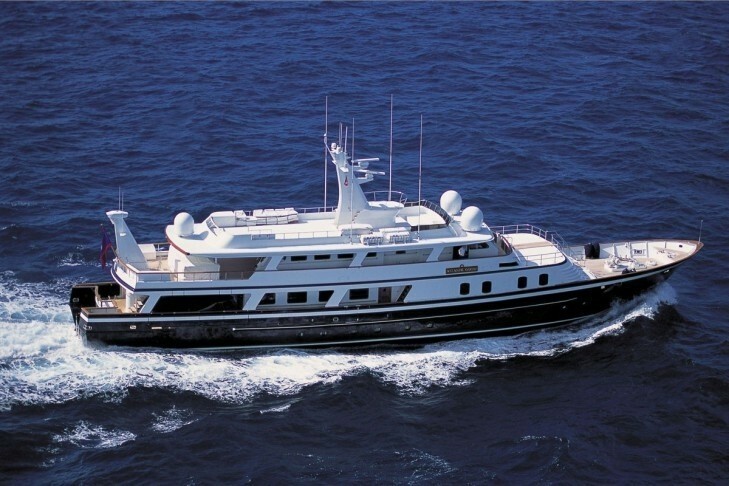 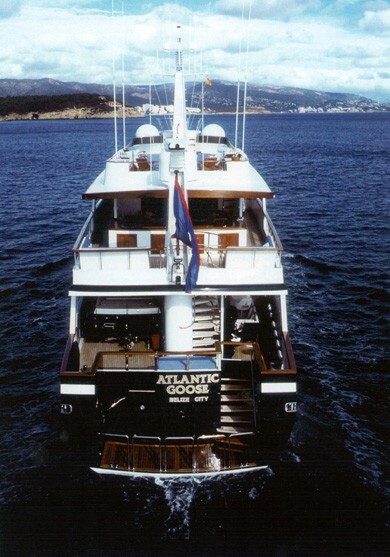 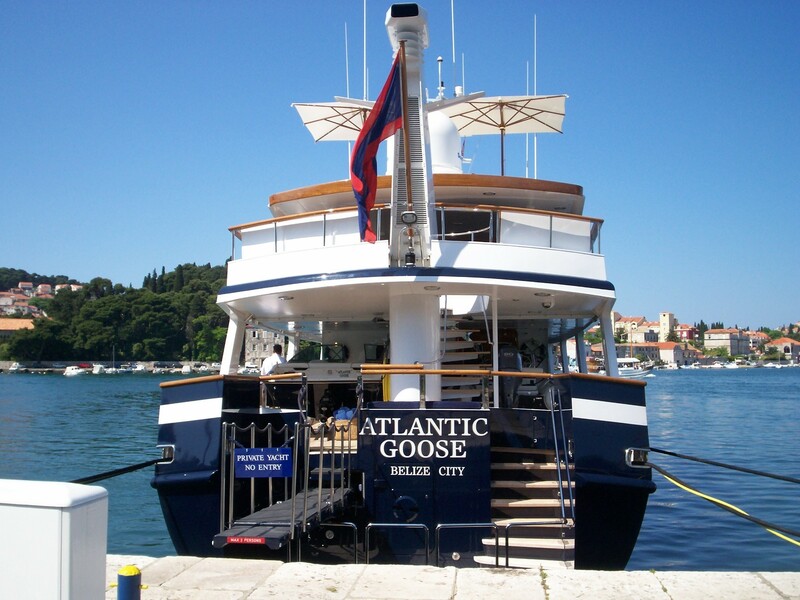 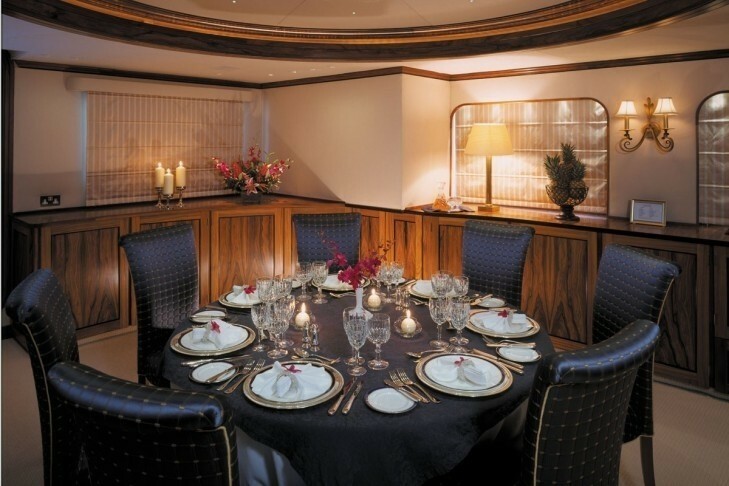 Luxury Motor Yacht Atlantic Goose is 147ft long and was built in 1987 by toughs Shipyard. 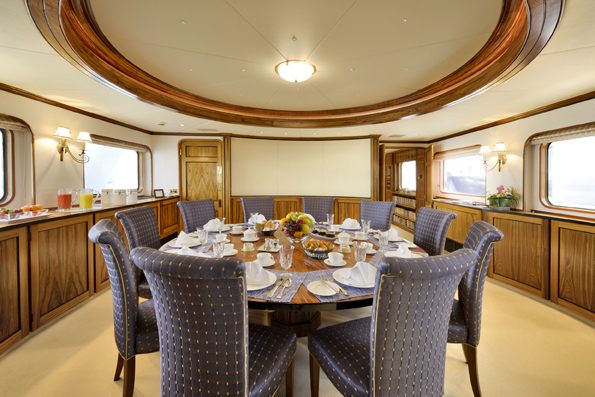 In 2004 she underwent a winter refit which included some of the following additions and refurbishments. 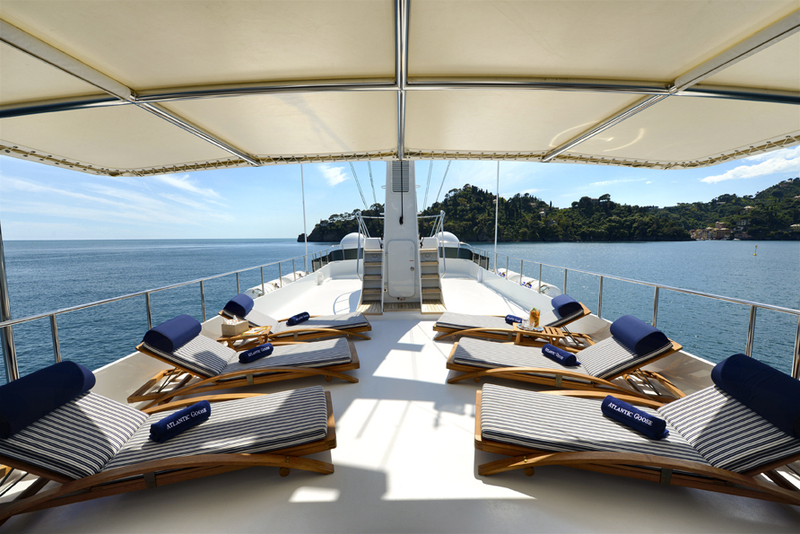 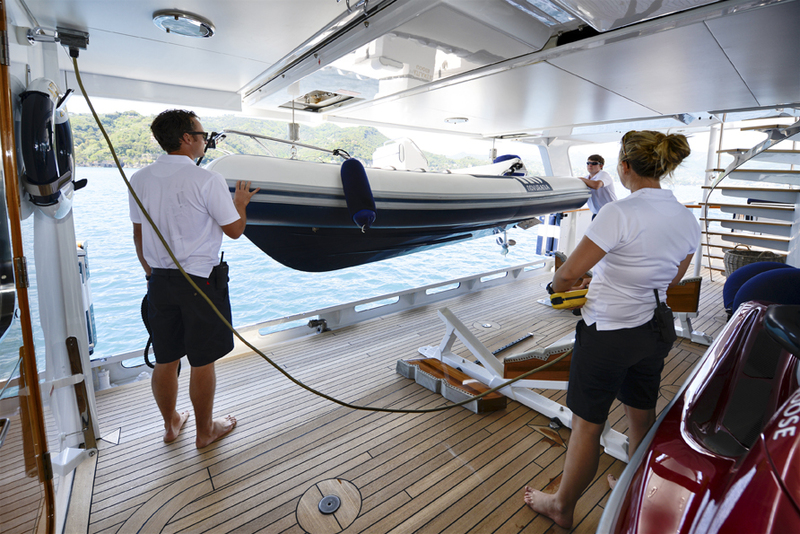 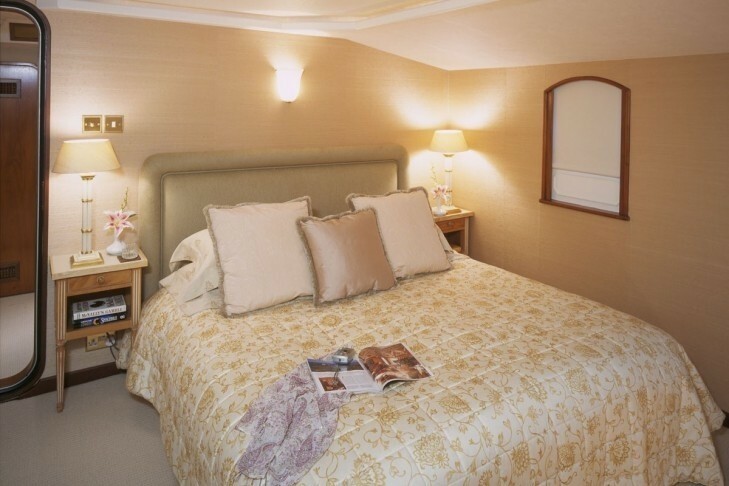 The convertible third full beam cabin was made into two permanent doubles - both with en suite facilities. 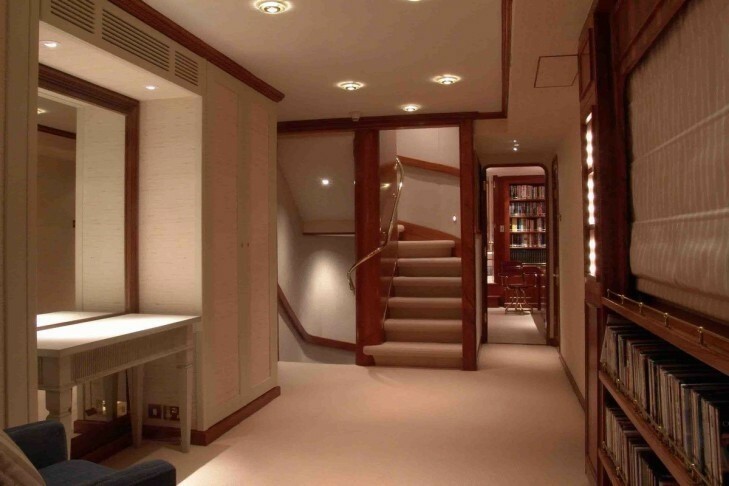 The lighting was radically changed to modernise the interior with a contemporary feel and the carpet and deckheads are now cream. 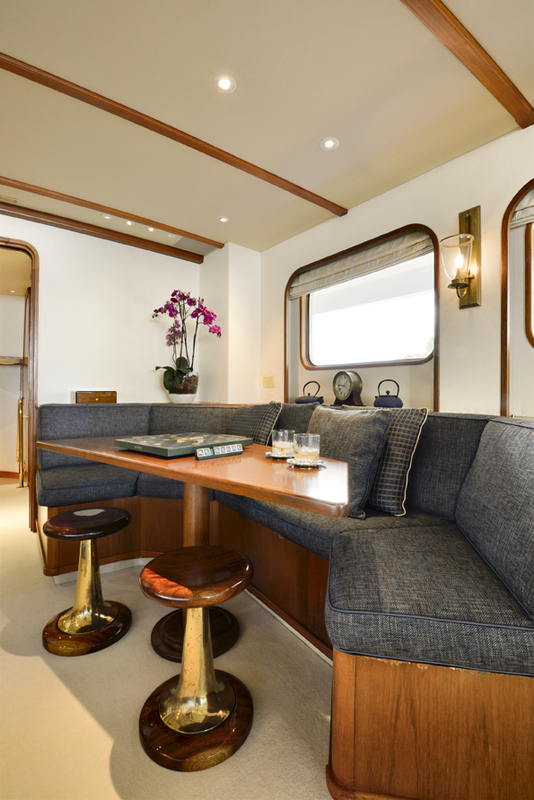 There were also new fabrics fitted in the master cabin and aft deck saloon which bring a simple and elegant feel to the yacht. 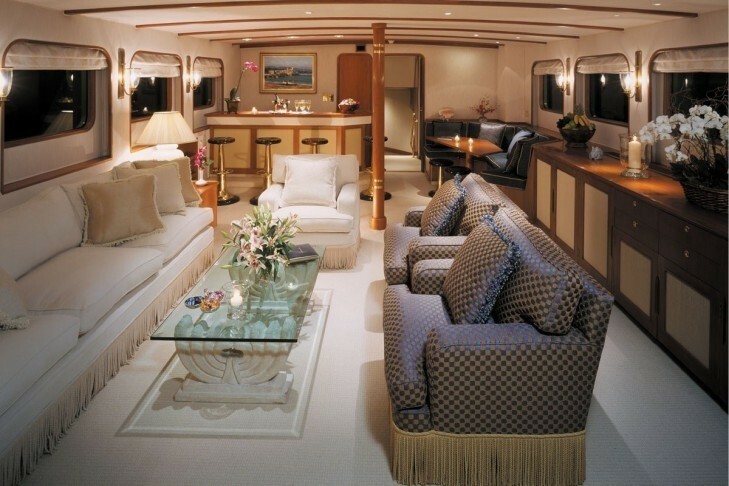 Flatscreen TVs have also been added as well as high speed data satcom giving internet access. 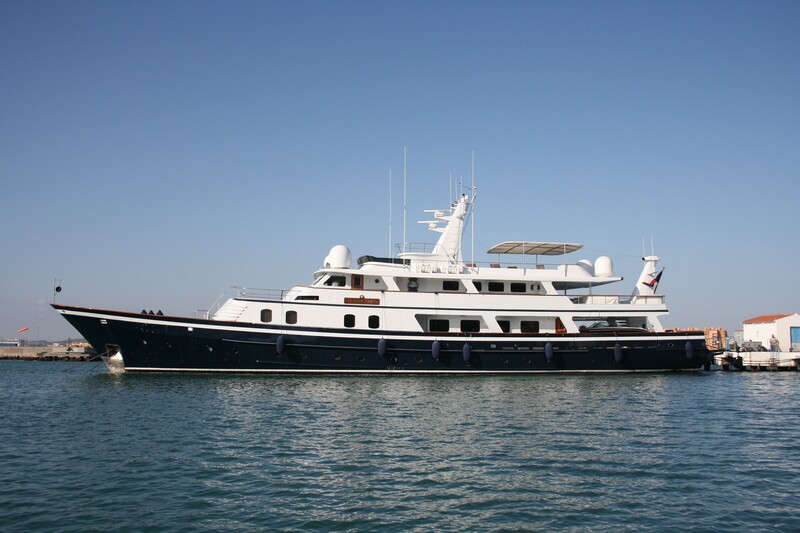 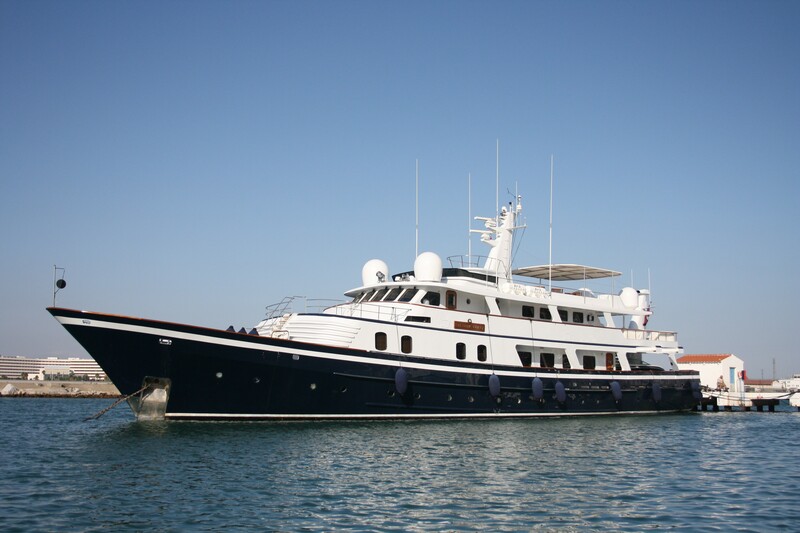 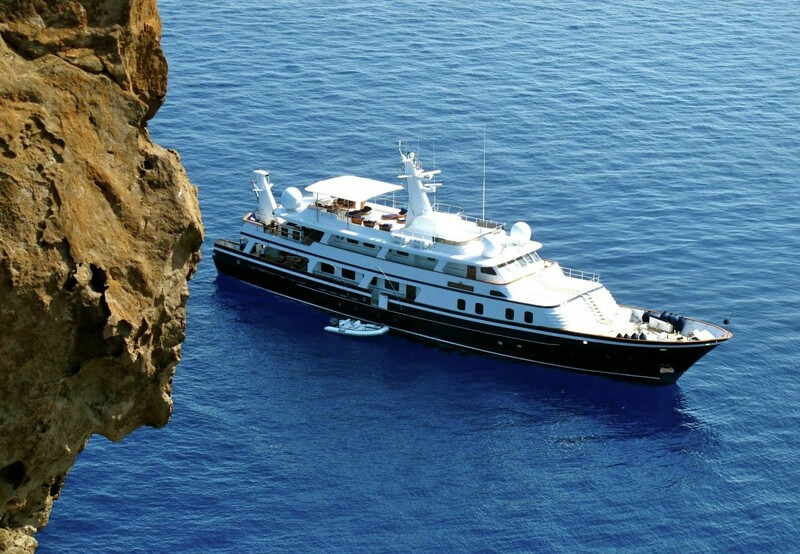 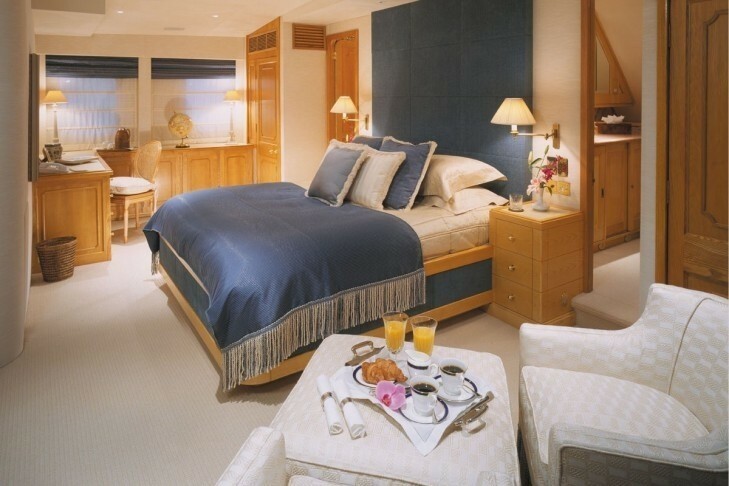 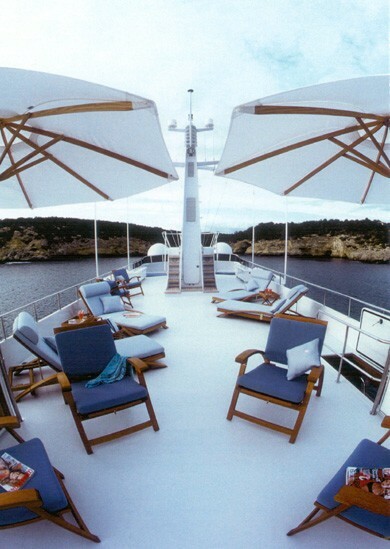 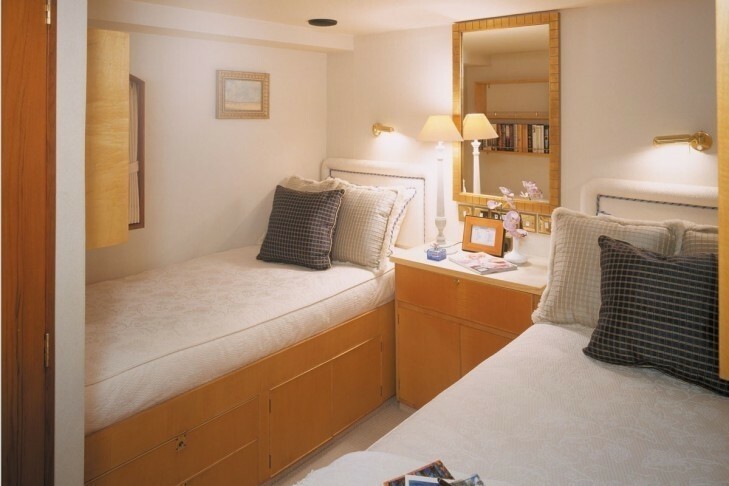 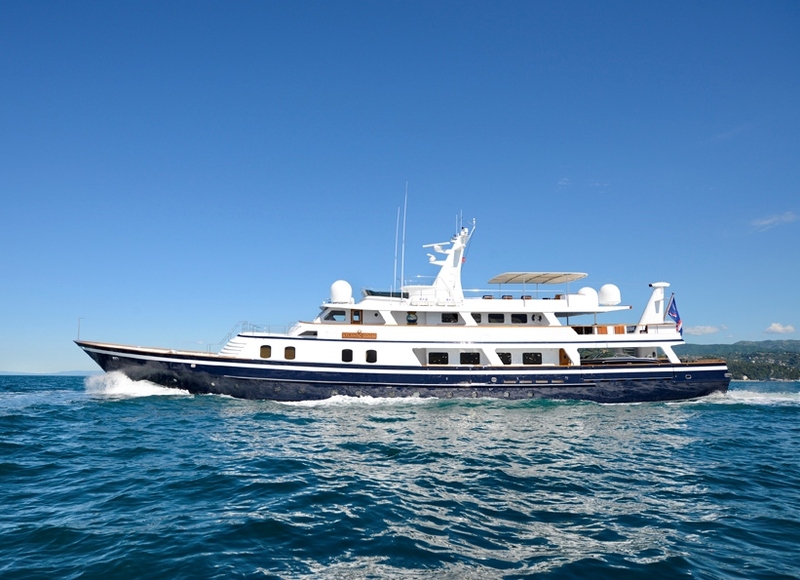 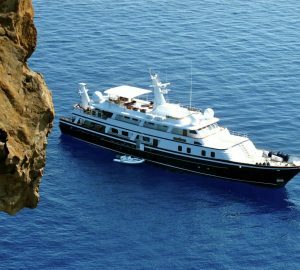 In her next refit in the winter of 2007/2008 – the yacht had Wifi installed, new bimini on the sundeck and all of her bathrooms were completely refitted. 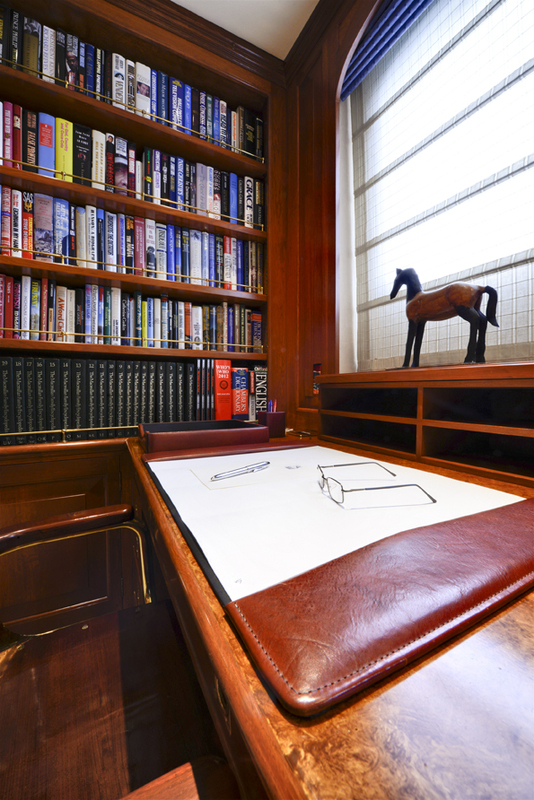 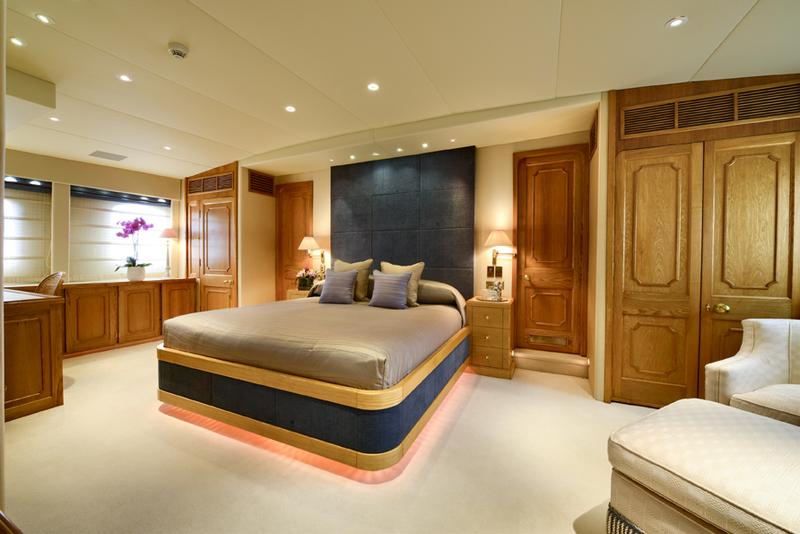 Motor yacht Atlantic Goose’s five cabins are extremely spacious and luxurious, with the master bedroom having hers and hers ensuites as well as a private study and lounge area. 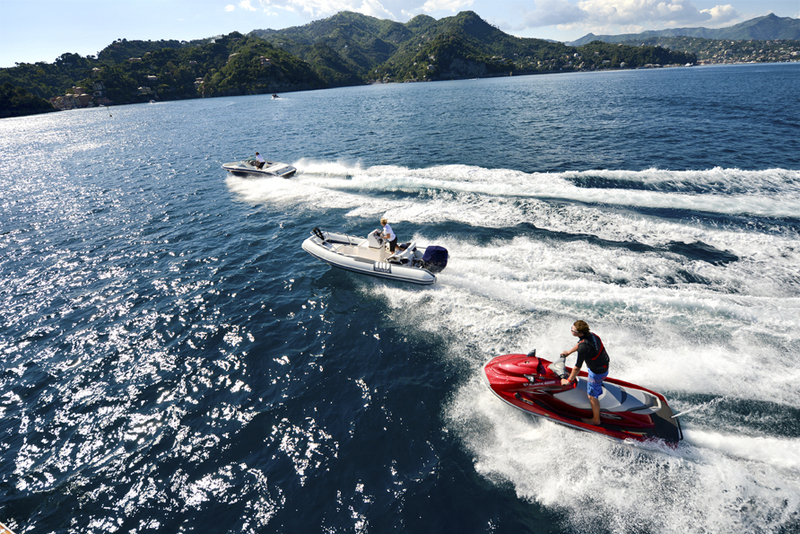 There are plenty of toys available for guests to use including two tenders, waverunners and plenty of other watersports equipment. 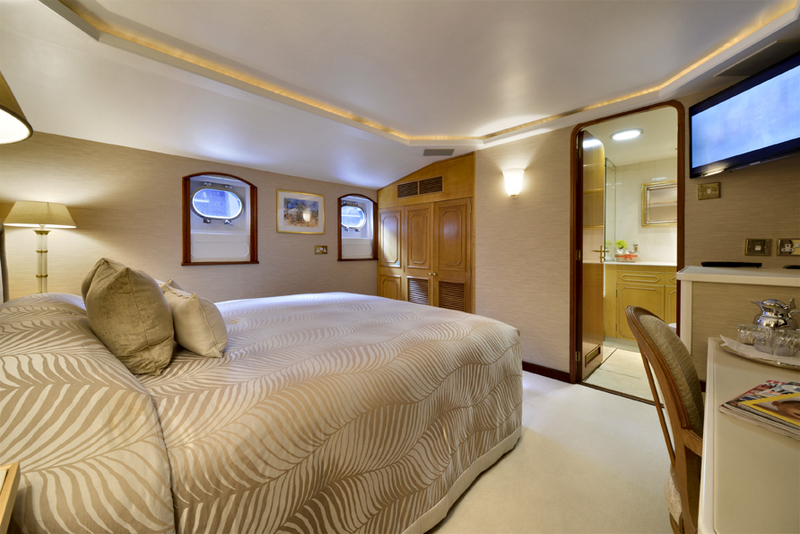 M/Y Atlantic Goose has a spacious full width master bedroom with its own private lounge area, adjoining office and his and hers ensuites. 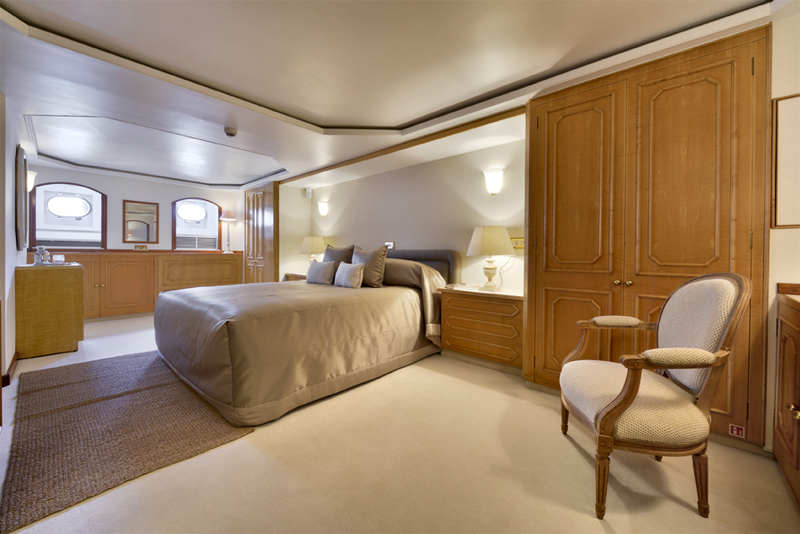 There is also a large full width VIP on lower deck with lounge area and en suite bathroom and two double cabins both with en suite facilities. 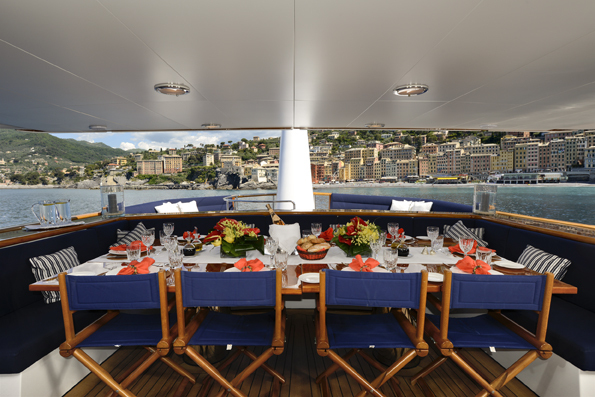 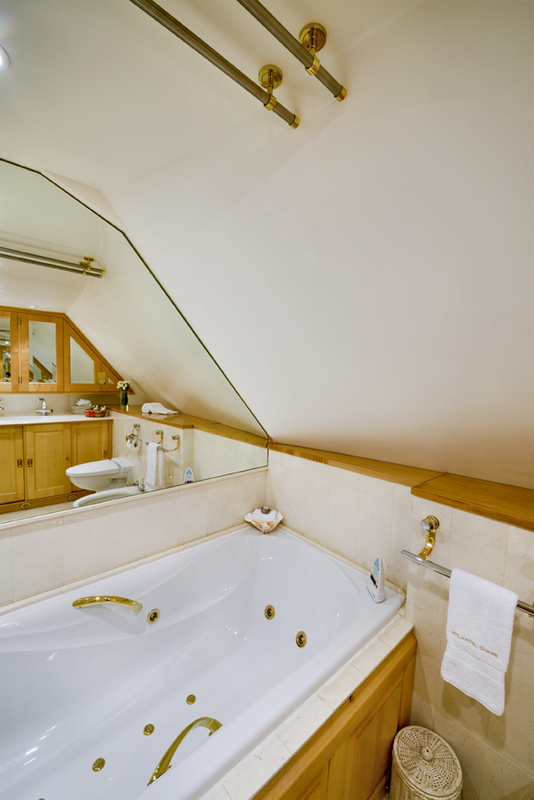 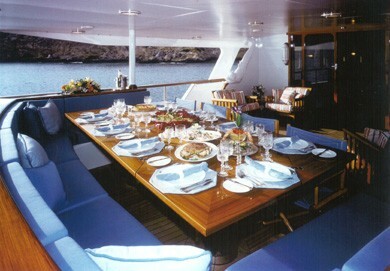 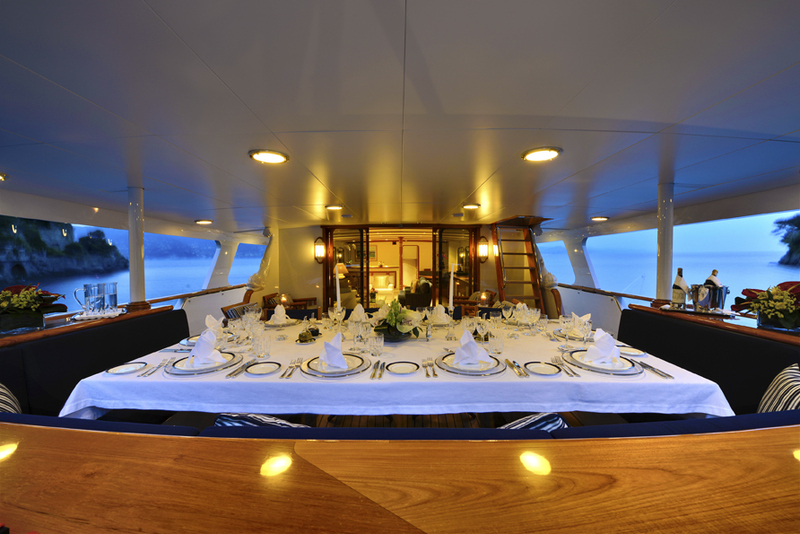 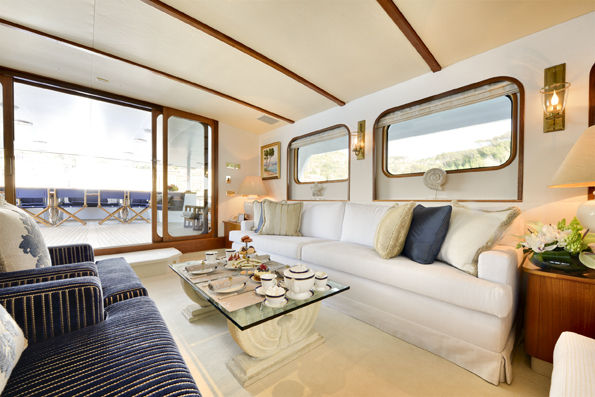 There is also a twin cabin on the lower deck with ensuite facilities. 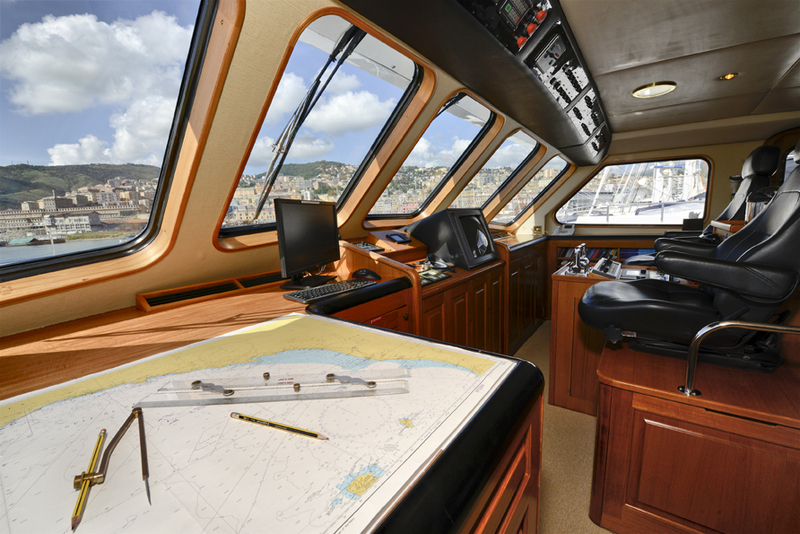 Toys on board ATLANTIC GOOSE include a 19’ Sea ray speedboat with 210hp motor inboard/outboard, a 16’ Novurania RIB with 80hp outboard, 2 Kawasaki 150 hp Jetskis, Snorkelling equipment, Waterski equipment, Wakeboard & mono-ski, two Doughnuts, and a towing banana. 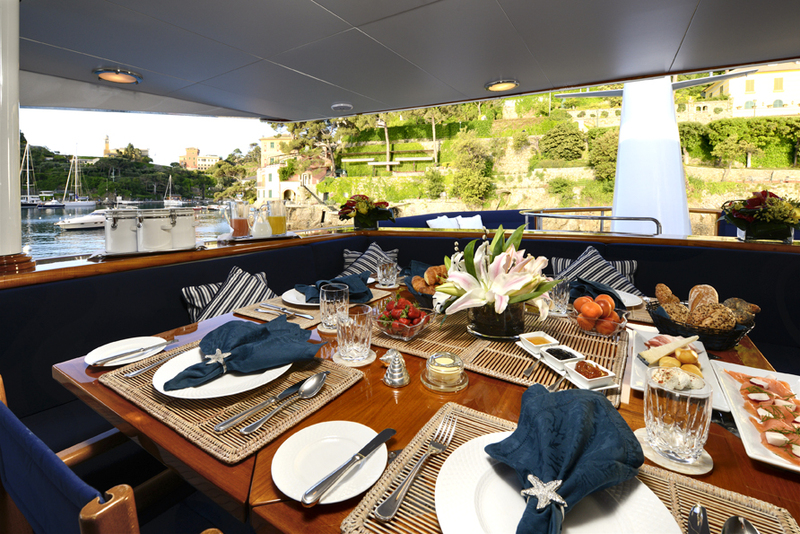 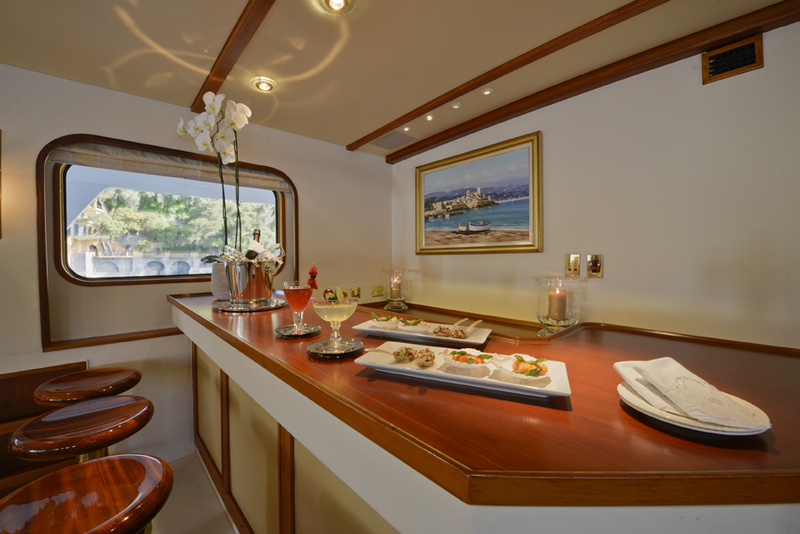 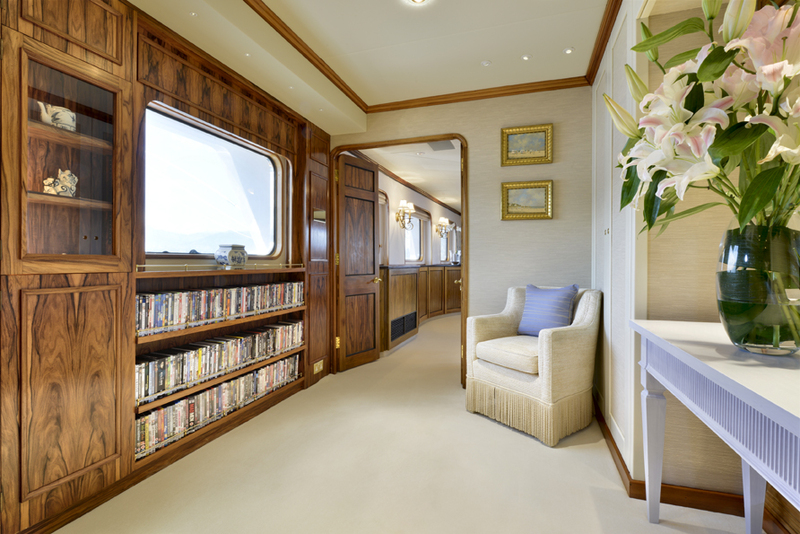 Inside, the yacht features a television, VCR, CD and DVD players, Satellite TV, communications for internet, telephone, voice and fax. 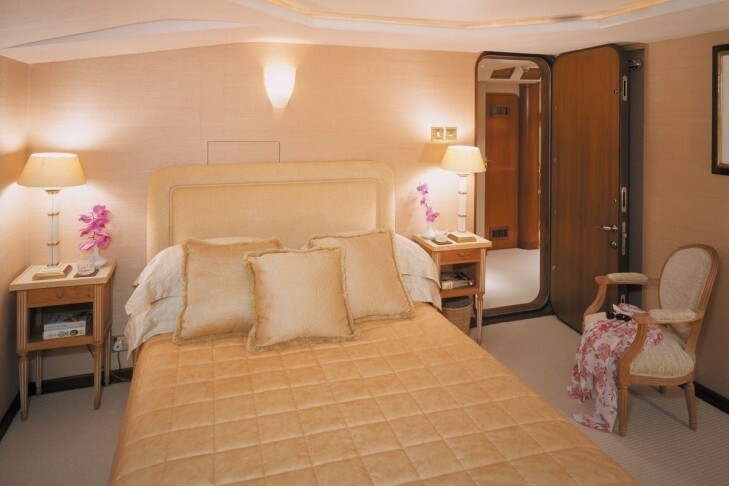 There are telephones in all cabins.